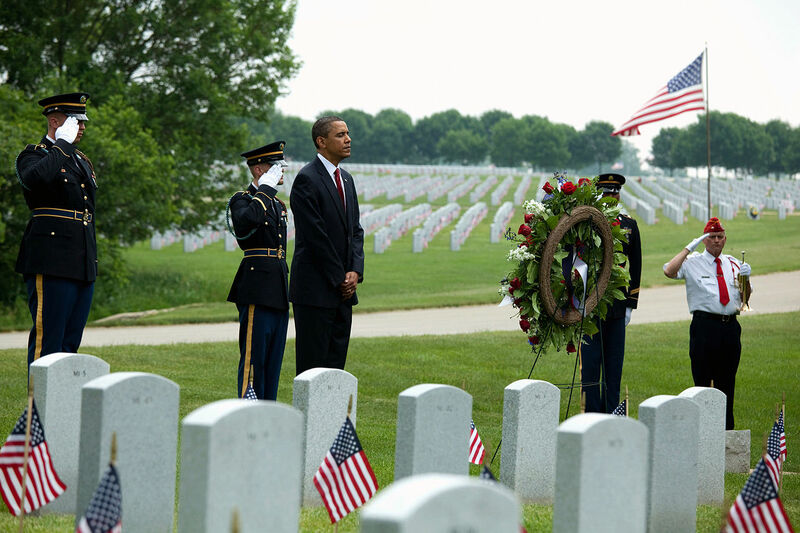 The Abraham Lincoln National Cemetery is located at 20953 W. Hoff Road, Elwood, IL 60421. The grounds include approximately 982 acres of beautiful landscape in Elwood, Illinois, and are located approximately 50 miles southwest of Chicago, Illinois. Dedicated in 1999 by the United States Department of Veterans Affairs National Cemetery Administration, the cemetery will provide 400,000 burial spaces when completed. Abraham Lincoln National Cemetery is located on the grounds of the former Joliet Army Ammunition Plant site, also known historically as the Joliet Arsenal. The cemetery is named after President Abraham Lincoln, the 16th President of the United States and founder of the National Cemetery system and who is buried at Oak Ridge Cemetery. In 2015 the first American federally approved monument honoring LGBT veterans was dedicated at the cemetery.